I had an idea a while ago to shoot something with a checkerboard pattern. After finding the right backdrop and body suit as well as a willing model, I was ready to go. I definitely like the results and have already come up with some additions and modifications to expand and fine tune the concept. I’ve attached 3 photos to this article and hope that you find them interesting. 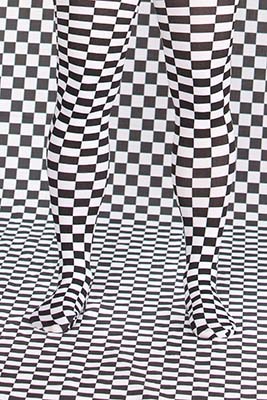 I can’t wait to implement my other ideas during my next checkered photo session. Hope you enjoy the photos and as always, comments are welcome. All Rights Reserved. All information and images are the property of Nix Images LLC and may not be copied or used in any manor, shape, or form without explicit written permission.